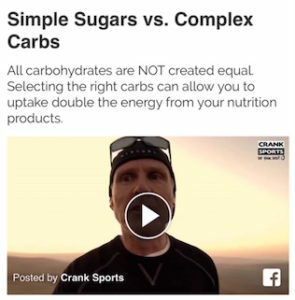 Maltodextrin is the preferred carbohydrate source for endurance athletes and as such it is the primary ingredient in e-Fuel as well as most other good products on the market (see video on right). Antioxidant vitamins C and E help protect against tissue damage, reduce soreness and aid in the recovery process. Infinit Go Far does not provide these antioxidants. Vitamin B6 assists in the energy conversion process. Infinit Go Far does not provide vitamin B6.